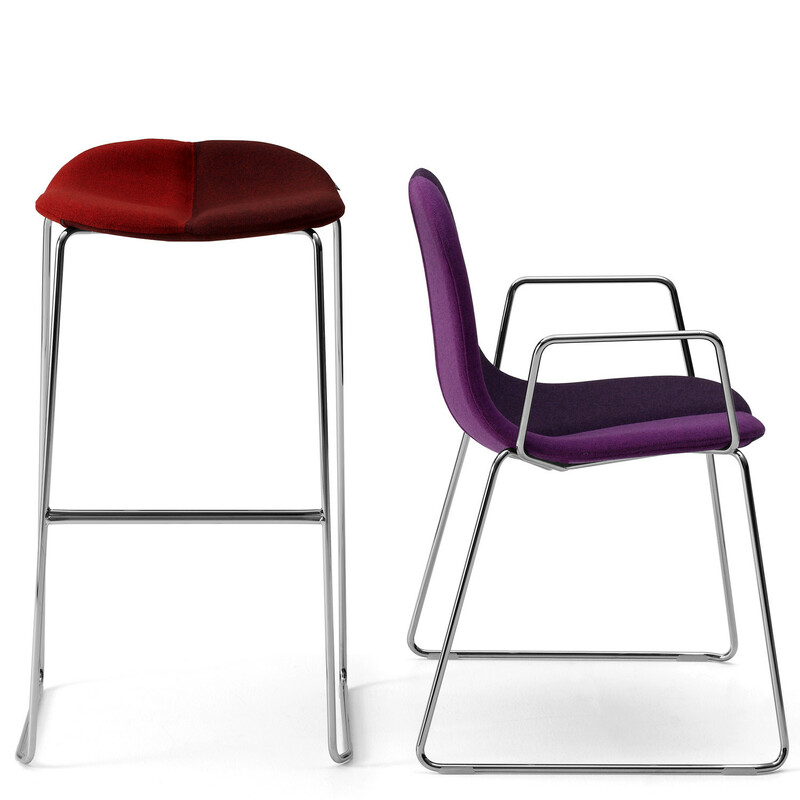 Duo Bar Stool by Patrick Norguet was designed to save space and provide a comfortably soft seating. 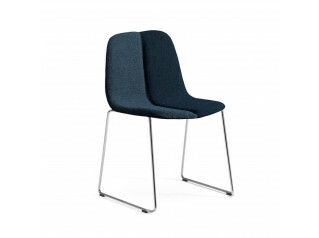 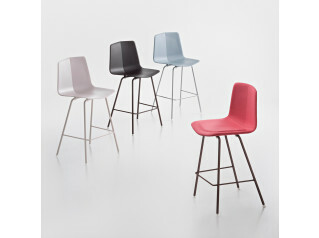 Duo High Stools are characterised by a seat consisting of two halves making it unique with the option to choose different upholstery colours for each half. 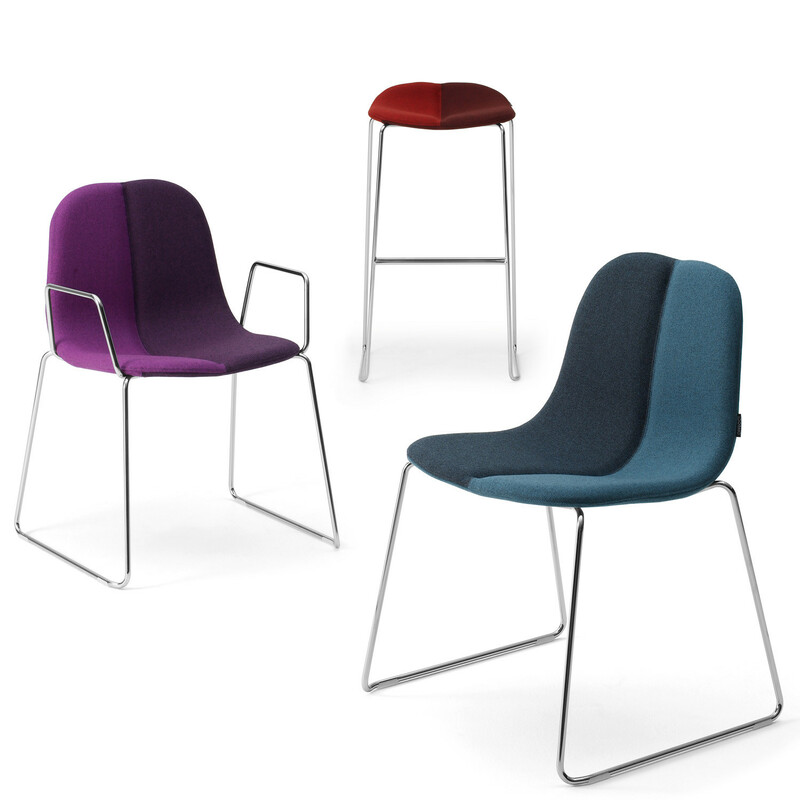 Duo Stools rest on a chrome sledge frame with footrest supporting the laminated wood seat core covered in cold foam and upholstered in fabric or leather. 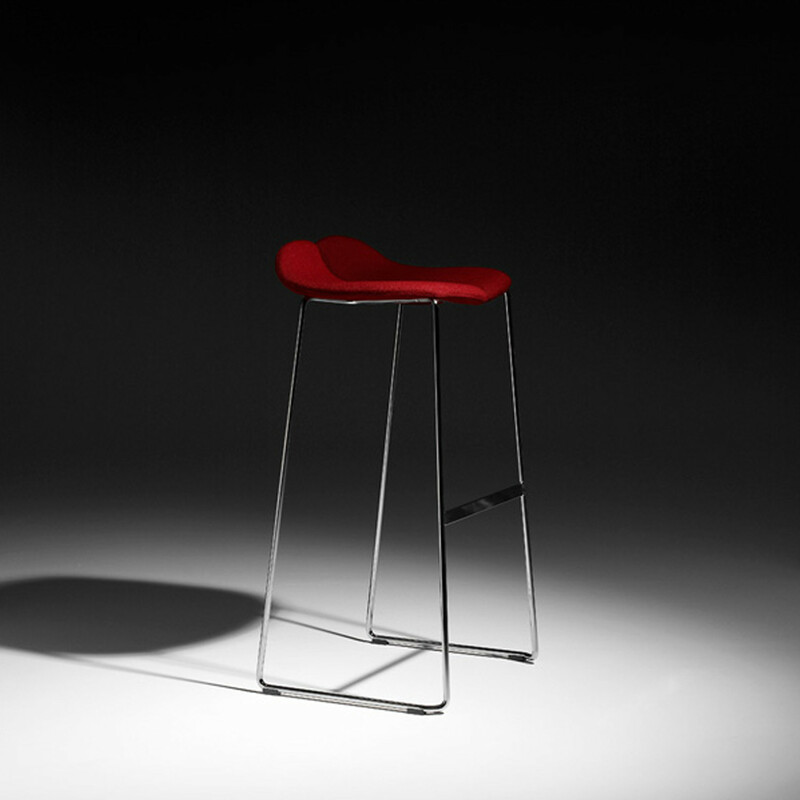 The Modern design of Duo Barstool is suitable to breakout areas, kitchens, cafés and restaurants. 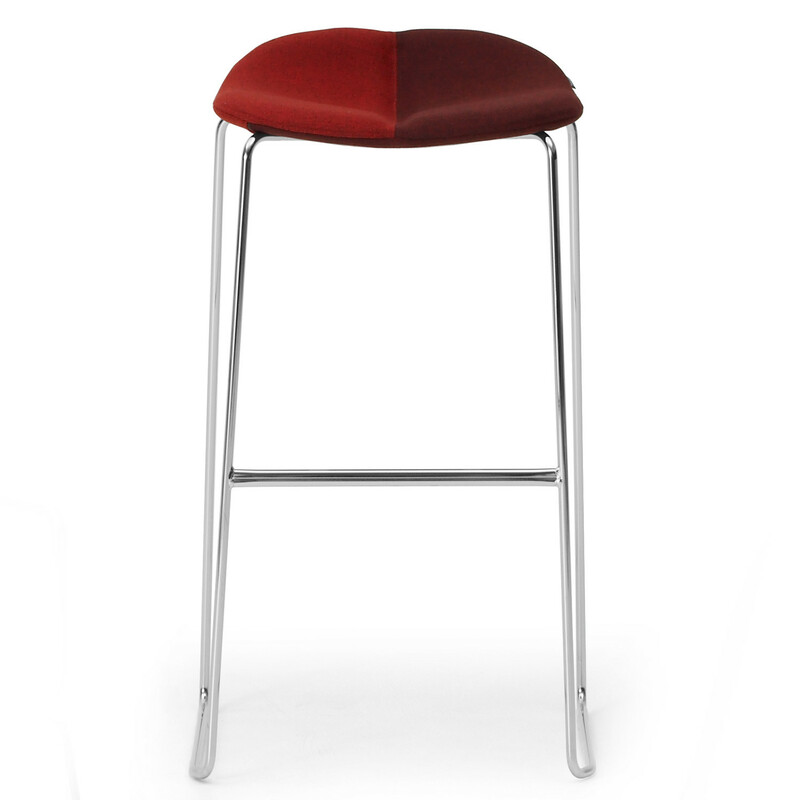 You are requesting a price for the "Duo Bar Stool"
To create a new project and add "Duo Bar Stool" to it please click the button below. 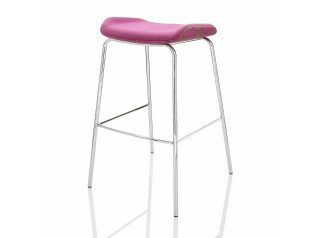 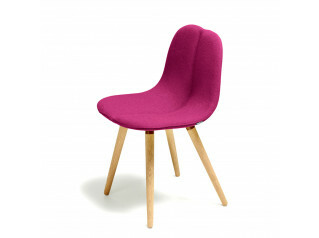 To add "Duo Bar Stool" to an existing project please select below.